There are guest stars, and then there is Patton Oswalt. And then, there is Patton Oswalt. And more Patton Oswalt. On Agents of S.H.I.E.L.D. Season 4 Episode 12, Oswalt's Agent Koenig was back. As was Agent Koenig. And Agent Koenig. And – surprise! – Agent Koenig's sassy sister, L.T., otherwise known as "the original Koenig." Didn't see that one coming, did you? Considering that "android" was always the most obvious explanation as for why there appeared to be an army of Agent Koenigs (clones being the other option regularly debated by fans), it was inevitable that Koenig and Kompany would resurface during the LMD storyline. The opening scene, featuring Oswalt quoting iconic lines from Back to the Future and Star Wars while wheeling around an arcade on a hoverboard, was an ideal way to be reintroduced to the character, who always brings a welcome dose of levity to S.H.I.E.L.D. Agent Coulson, This is Agent Koenig. They've got Agent Koenig. I repeat, they've got Agent Koenig. What I wasn't expecting was the delightful revelation that the Koenig brothers have a sister. L.T., played by Artemis Pebdani, is a no-nonsense agent – a stark contrast to her brothers, who seem to revel in the nonsensical. You're asleep, binge-watching the apocalypse! Permalink: You're asleep, binge-watching the apocalypse! L.T. is clearly the boss of the boys, and she's damn good at it. When one of the male Koenigs gets whiny, she calls him out and reminds him that one of his brothers gave up his life for the greater good, while he has done nothing good at all. At one point in the episode, Coulson said that L.T. was responsible for recruiting the others into S.H.I.E.L.D. The laundry was disgusting. Enough DNA to make a clone army. Permalink: The laundry was disgusting. Enough DNA to make a clone army. However, it is finally, though still somewhat vaguely, revealed that the other Koenigs are actually early-model LMDs from an aborted version of the program, before S.H.I.E.L.D. wised up and realized the dangers that LMD technology could pose to mankind. The Koenig Konnection (sorry, I just can't help myself) is just one of many ways in which this episode moved the LMD storyline forward by leaps and bounds in comparison with last week's somewhat slower installment. Eric died so good people could live and do good things. What good have you done for the world? Permalink: What good have you done for the world? We were introduced to a Russian submarine captain determined to use the Darkhold to destroy all Inhumans, as well as the man who he believes is responsible for their existence. Kidnapping a Koenig? That's like catching moonlight. Permalink: Kidnapping a Koenig? That's like catching moonlight. One can totally understand why Coulson would be accused of being the source of Inhumans and other such phenomena. Watching the captain show Radcliffe his collection of photographic evidence felt like Conspiracy Theory 101. That's right: Radcliffe is in bed with the Russians. And after the captain described himself as "the superior man," one can't help but assume that he is the Superior that Senator Nadeer told Radcliffe he had to meet. Koenig: You're all Gollum-y again. Radcliffe: That' what the Darkhold does. It drives you mad! Permalink: You're all Gollum-y again. Senator Nadeer and the Russians have a common goal: they want to destroy Inhumans. And they need the Darkhold to do it. So, they enlisted Radcliffe to do their dirty work for them. John Hannah's performance as the morally conflicted Radcliffe continues to wonderfully contrast with the steely, single-minded resolve of Mallory Jansen's Aida. These two characters remain highlights of the LMD story for me, even if they were slightly overshadowed by the comic novelty of Oswalt and Pebdani in this episode. LMD Radcliffe: If you don't think I'm alive, then why'd you feel the need to switch me on before killing me? Mack: I like to hear robots scream. Permalink: I like to hear robots scream. 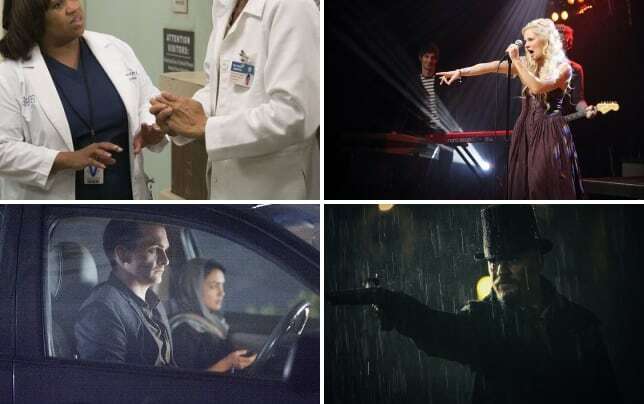 After realizing Coulson gave the Darkhold to Koenig, the Russians kidnapped him (or at least one of him) and Radcliffe essentially hacked his memories to figure out where he hid it. It all led to a shadowy showdown in a secure S.H.I.E.L.D. vault, featuring numerous Koenigs, Russians, and members of S.H.I.E.L.D. 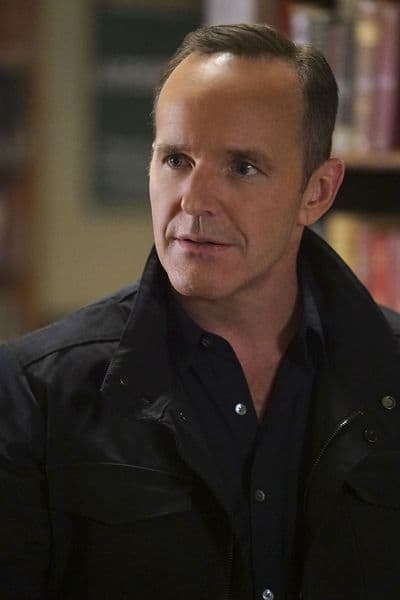 – but not before LMD May locked lips with Coulson. We've been making a lot of toasts lately. Maybe we should try something else. Permalink: Maybe we should try something else. As I have previously noted, I do not like the Philinda romance, but I am intrigued at the notion of LMD May being more into Coulson than the real one, and the conflicts that could pose. From the flirtation in the car, to the kiss, to her pulling a gun on Coulson in order to finish the mission programmed into her, LMD May generally came across as a more sensitive and emotional May than the human one. The only thing worse than a robot is a possessed one. Permalink: The only thing worse than a robot is a possessed one. When LMD May insisted she was the real May, and that her feelings for Coulson stemmed from the real May's memories and desires, I did feel for her. But, once they track down the real May, I'll be interested to see how much her feelings mirror that of her LMD. I don't think the show even bothered to hint at a Philinda romance until the LMD storyline got into full swing; their chemistry didn't heat up until the robot showed up. Coincidence? Foreshadowing? Bad writing? You decide. Simmons [to LMD Radcliffe]: We'll shoot whenever we damn please. Mack: And this time, no one's going to put you together again. Permalink: We'll shoot whenever we damn please. Said robot is being kept around, albeit unplugged, until they can track down the real May. But with the way Coulson was directing those puppy-dog eyes in the LMD's direction, one wonders if he'll succumb to the urge to wake her up sooner rather than later. What happens if the real May shows up only to find herself replaced by an LMD – and not because of a deception, but because the team has actually embraced the android? This is the drama I'm interested in, not the romance. 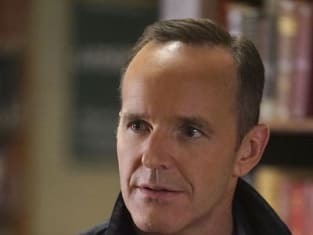 In the meantime, Coulson has vowed to track down the Russians, Radcliffe and the Darkhold, which might not be a good thing considering, you know, they're all planning to kill him. But what he doesn't know won't hurt him...yet. Captain: This book better be worth it. Radcliffe: If you want to get rid of the Inhumans, the answer will be in it. Captain: And what's in it for you? Captain: Then we want the same thing. Permalink: If you want to get rid of the Inhumans, the answer will be in it. Overall, this was a solid episode that managed to simultaneously tie up some storylines while also setting the stage for the biggest one yet. What did you think of "Hot Potato Soup"? Did you enjoy the visit from the Koenigs? Do you think we'll learn more about Fitz's absentee father in future episodes? And what will happen when the real May fights her way out of the simulation and back to the team? Remember, you can watch Agents of S.H.I.E.L.D. online via TV Fanatic. Lee Jutton was a staff writer for TV Fanatic. She went into retirement in July of 2017. Follow her on Twitter.